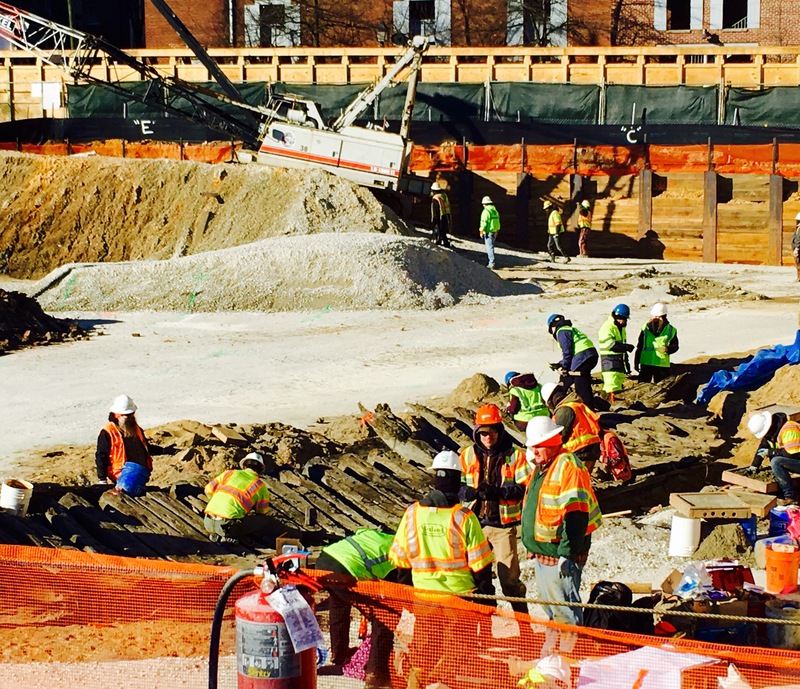 While the construction crew building the Hotel Indigo dug deep, the remains of an 18th century ship’s fifty-foot hull was unearthed at 220 South Union Street in Old Town, Alexandria. It had been scuttled sometime in the late 1700s when the town used it as part of the landfill for the waterfront which was extended out to a deeper part the Potomac River. The new waterfront allowed Alexandria to become a thriving international port. In photo: Before the landfill (late 1700s), the waterline went to where the crane is located. 3-D laser scanning, photographs and measurements have been completed and now the ship is being dismantled so it can be moved to a wet environment for further study and hopefully conservation. 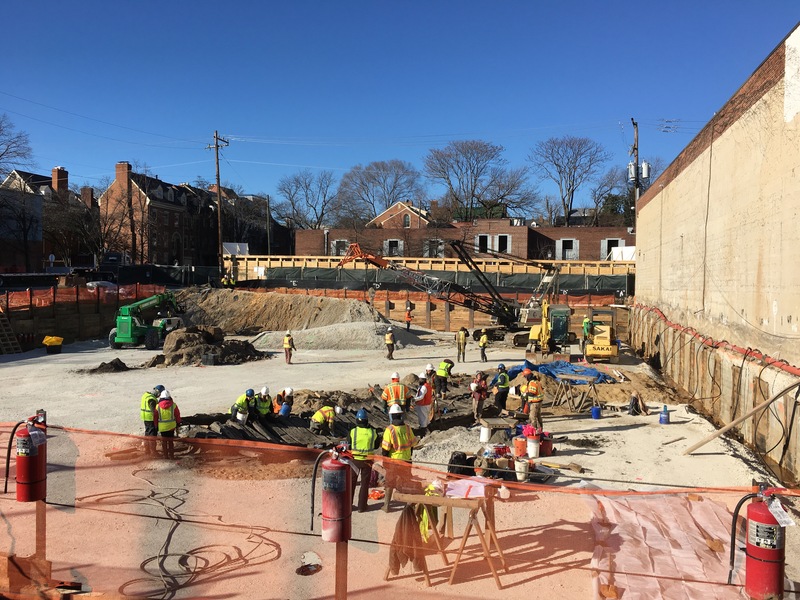 For more information about this and other discoveries in Old Town, go to: Alexandria Archaeology Museum which is located in the Torpedo Factory on King Street. When they announced the area would be open to the public for two hours, I was hoping to get onto the construction site for a closer look but it was not to be. Wow! I had not heard of this, though the location makes sense, given the back filling that they did to extend the water front for a deep port. I have not been to the Torpedo Factory in years. We’ll have to make that a stop again to see the museum. What a great story! I know I could do the research, but I’ll ask you: when did they discover the hull? Did it put the hotel project on hold for an extended amount of time? If so, was there controversy? I sure hope not, because history should take priority! Nice post! This is not far from our office. 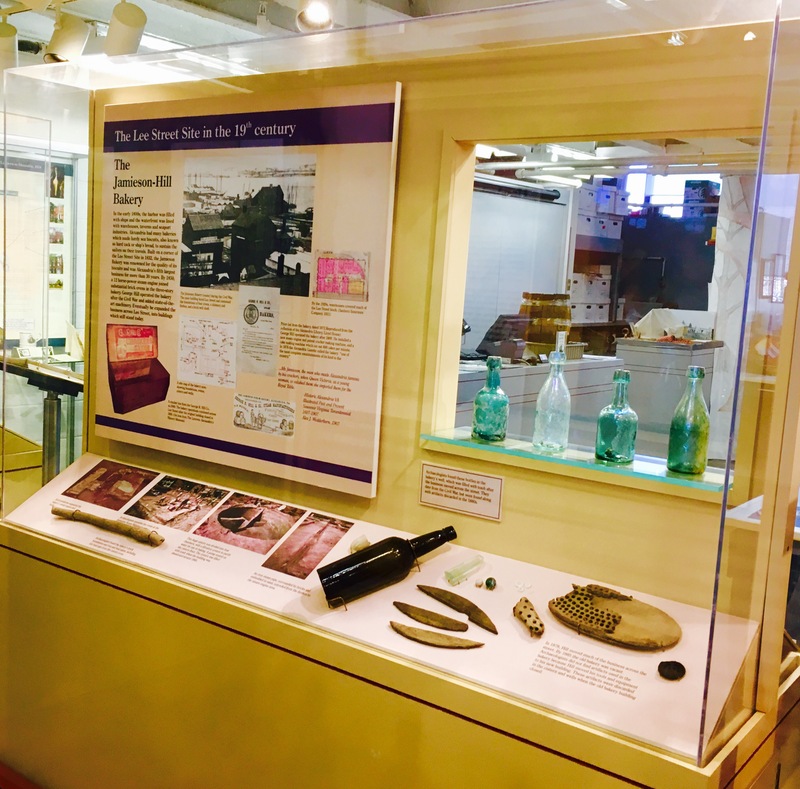 It is easy to see why we are so passionate about making history accessible and fun for kids when they travel because we are constantly surrounded by so much history on a daily basis in Old Town. Great pictures also! Really well done. Thanks so much for your kind comment. For me, the best part of traveling is meeting new people and the learning about history. I checked out your website ~ made me want to plan a trip! Many thanks for the nice feedback as well! It’s nice to find others that love family travel as much as we do.